Gory Detail’s puzzle platformer, The Unlikely Legend of Rusty Pup, has been canceled for Nintendo 3DS. 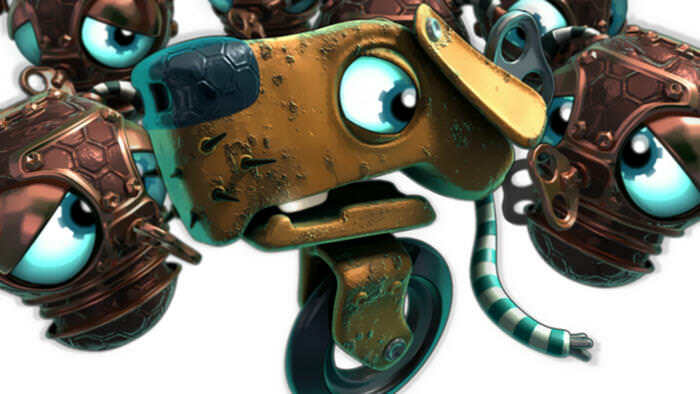 When the game was first announced a few years ago, Gory Detail planned to release The Unlikely Legend of Rusty Pup on Wii U, but that was cancelled due to the arrival of Switch. Back then, Gory Detail had just gotten their hands on a Nintendo Switch development kit and was planning to bring the game to both Switch and 3DS. Today Gory Detail has confirmed that the 3DS version of The Unlikely Legend of Rusty Pup has been canceled. No reason was given, but it’s likely due to a “lack of time and resources”. Hopefully the Switch version won’t meet the same fate.